Kickstand for the front of the box, can be fitted to the models: Light, H/Box, P/Box and 3107. 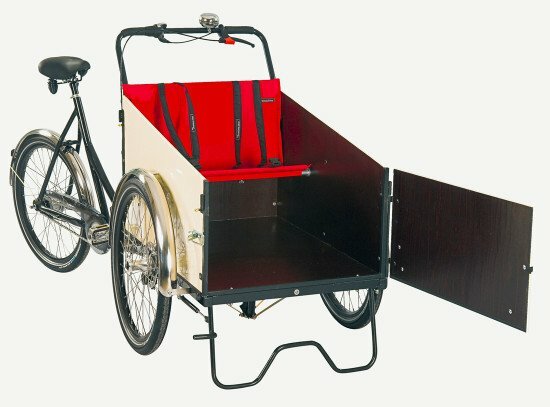 When the tricycle is parked and the driver is not on the saddle, the kickstand guarantees an upright position for the box, allowing children to play safely in the box. If a door is installed in the front, the kickstand ensures that the trike will not tip when jumping in and out of the box.